The next person who tells you they eat McDonald’s all the time because, “It’s so cheap,” tell them to eat more tacos! Tacos should be simple – small corn tortillas, filled with meat and topped with onions and cilantro. No exceptions. However, to determine who has the “best” tacos, one should look to the sauce in my humble opinion. A place has a bottle of Tabasco for your tacos? “Getthefuggouttaheya,” or of course the Southern equivalent is, “Oh honey, bless your heart.” Give me unlabeled containers of creamy green and dark reds with visible chili peppers in it, I’ll love you forever. 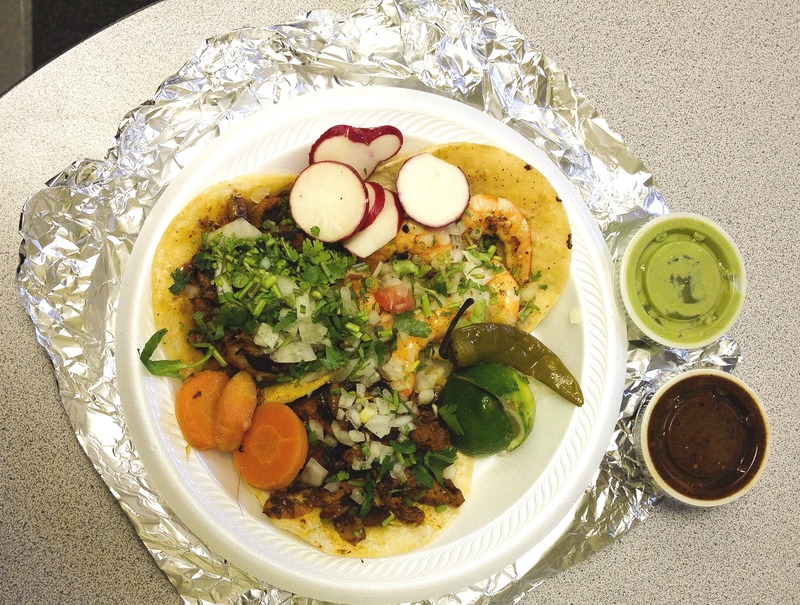 I’ve described the tacos at El Tapatio (4801 Nolensville Pike, Nashville, TN 37211 – next to Whitt’s BBQ) as, “So good I forgot to look at my phone,” which, in these modern times, is really saying a lot. But the sauce, the sauce! For $4.90 I got two spicy pork tacos, one shrimp, pickled carrots, radishes, a green sauce and a red sauce. I have no idea what’s in the sauce, but I can tell you that it’s homemade, spicy as hell, and is better than anything else you’ll find on Nolensville Road. ¡Yo Quiero El Tapatio!